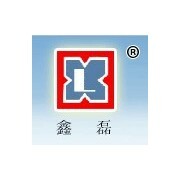 ﻿ Yixing Jiangshan Biotechnology Co.,Ltd. Yixing Jiangshan Bio-tech Co., Ltd. ,founded in 1992, is located in Yixing in China with beautiful scene, and is 160 km from Shanghai, Nanjing, Hangzhou and Wuxi and enjoys very convenient transportation. The company is the industy enterprise which dedicates to production of food additive, feed additive, pharmaceutical and other products. Our products include Vitamin C, VC sodium and particle and others.